I’m up to all sorts of tricky business (that’s for you Caleb!) in my crib now! 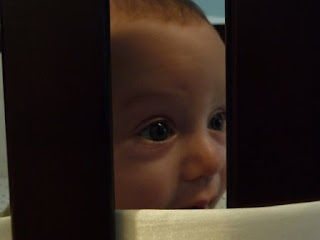 I like to practice things when I’m in there, like creeping slowly up to the top just to see if I can crawl. And rolling over and doing tummy time. It’s like my own private practice area. It’s dark, no one’s watching, and no one will laugh at me if I mess up and fall over. 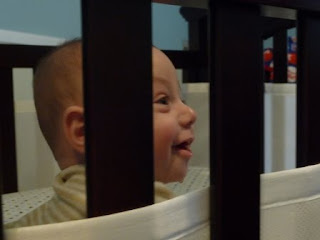 Except one morning I got busted, and Mommy took some pictures through the crib slats…. 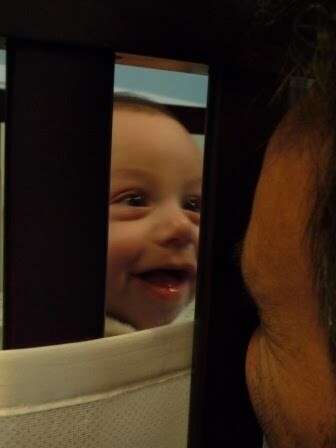 Hi Daddy! 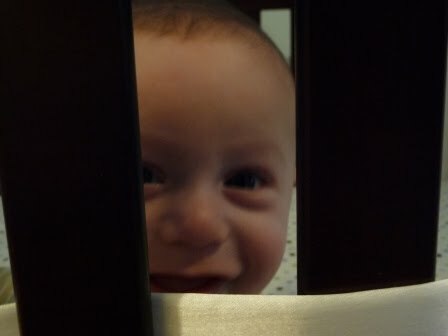 What are you doing spying on me?